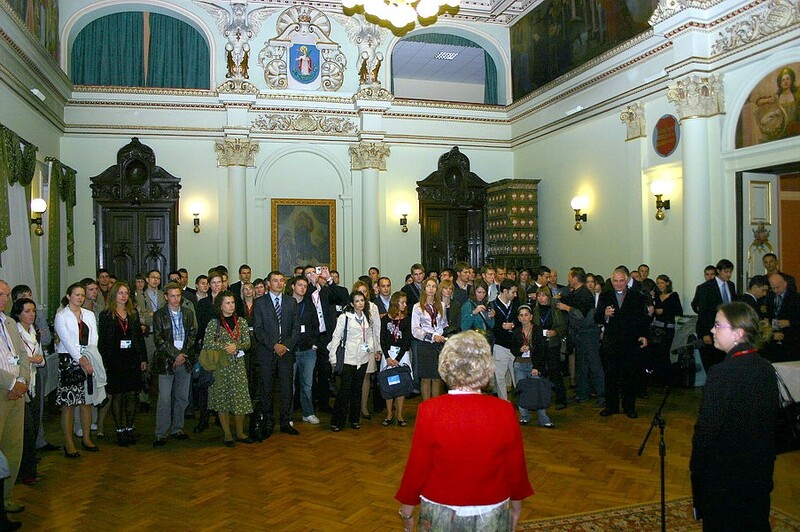 Over 200 young people – representatives of political, non-governmental, social and economic organisations from all over Europe- takes part in Economic Forum of Young Leaders. 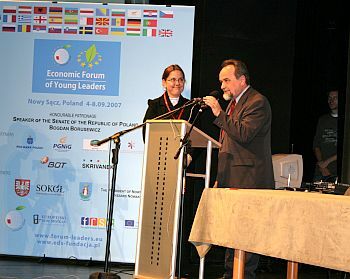 Forum in Nowy Sącz is the partner program of XVII Economic Forum in Krynica. 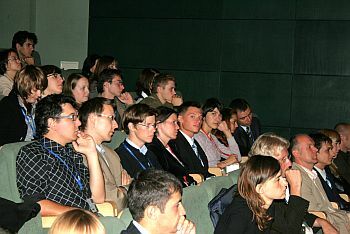 It is a meeting of young social, economic and political leaders from EU, Eastern Europe and Caucasus countries. 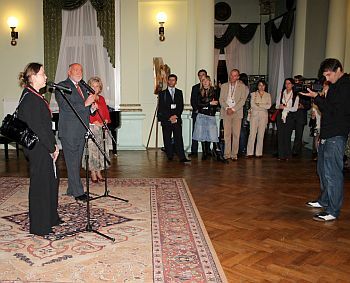 Participants of Forum were welcomed by the city’s authorities. 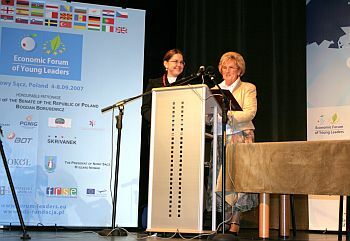 Vice-president Bożena Jawor wished young people fruitful session. 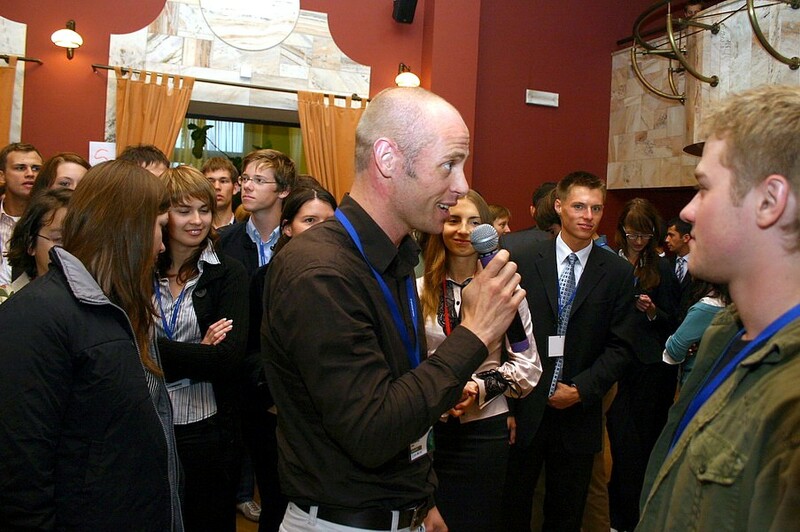 For the third time Nowy Sącz hosts participants of Forum of Young – the part of Economic Forum in Krynica Poland-East. For many of us, this is the first encounter with Politics with a big “P”. The first meeting with VIPs from Poland, as well as from dozens of other countries, of which delegations will stay at this one of the most important events in this part of Europe, who you have only known from TV and newspaper’s covers - said vice-president. 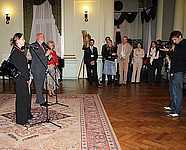 She also encouraged young leaders to utilize the opportunity of meeting famous politicians. You bring with you for these meetings your opinions, notions, experience taken from such diverse, often unlike and distant places and environements. Your diversity is a value as such. How you will use your potential, it will depend only on you. 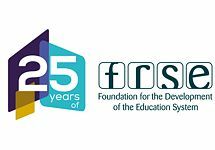 I wish you that you would use your abilities and skills to foster timeless fundaments and supranational values. 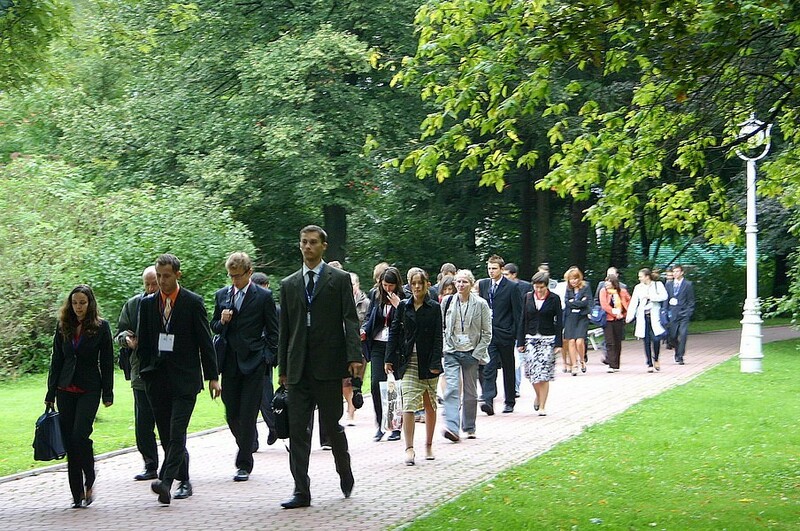 The September meeting of politicians and businessmen in Krynica is called “Polish Davos”. It is barely possible to undervalue the importance of this event. The effects of official and bilateral meetings we often get to know after many months. The big politics is written also from perspective of private meetings and friendships, also of meetings in Nowy Sącz and Krynica. 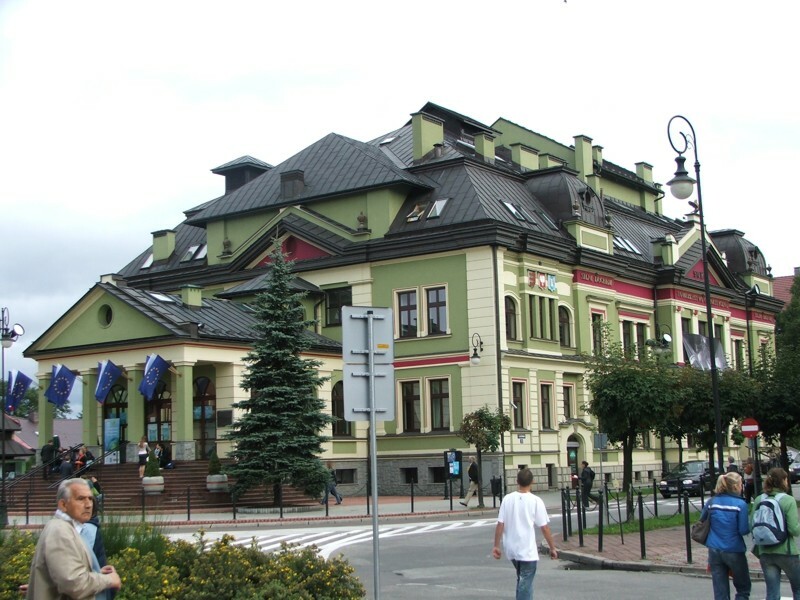 Economic Forum of Young Leaders in Nowy Sącz is intended to be a vestibule/corridor to Krynica, to real Davos, to politics. Surely, among you there are future politicians, ministers, parliamentarians, social and local-governments activists, and businessmen, who in few years will create the future of their regions and countries and influence the future of Europe”- added vice-presidents. The issues of this year’s Forum are dedicated to European identity and values, and first and foremost to the meaning of solidarity in contemporary world. Moreover, there will be raised topics of the vision of European Union, economy development based on knowledge, flexibility of young workers. 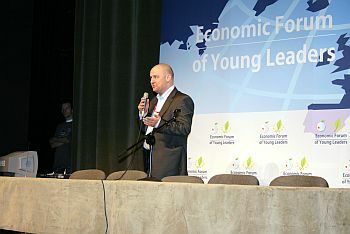 The guests of Economic Forum of Young Leaders will be distinguished politicians, businessmen, leaders of social movements. Forum, first of all, will be a platform for debate, opinions, and visions of young generations of Europeans on vital issues of the present. The organiser of Economic Forum of Young Leaders is European Meeting Center – Nowy Staw Foundation, Economic Forum in Krynica and Foundation for the Development of the Education System – National Agency of Program “Youth in Action”. Każdy z uczestników stawia pytania o przyszłość Europy. Dla Artema Chmielnikowa z Dniepropietrowska to problem zaistnienia Ukrainy w Unii. Mnie przede wszystkim interesuje zagadnienie współpracy ekonomicznej w nowej Europie oraz przyszłe członkostwo Ukrainy w Unii Europejskiej. 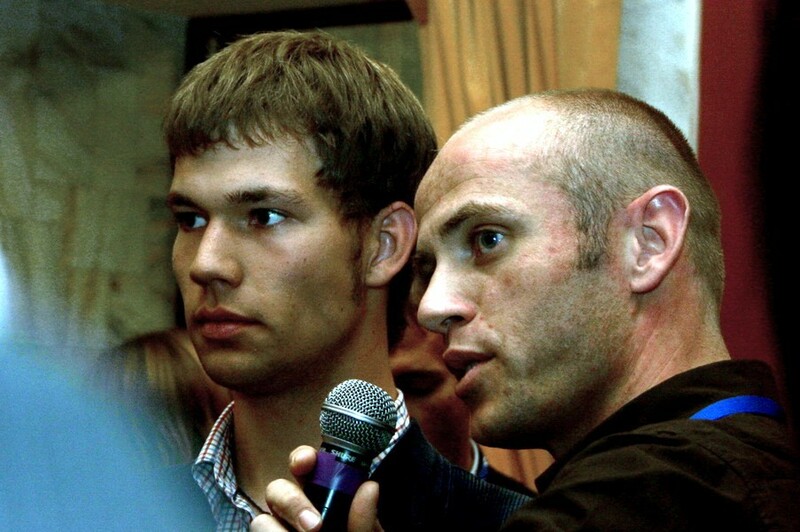 Już po raz drugi Forum w Nowym Sączu gromadzi "liderów, inspiratorów, ludzi, którzy chcą coś zmienić i wziąć za to odpowiedzialność" mówi prowadząca obrady Anna Moskwa. Zdaniem prezesa Fundacji Nowy Staw, organizatora konferencji, Tomasza Różniaka ważne jest by młodzi ludzie docenili to, że Europa się jednoczy.